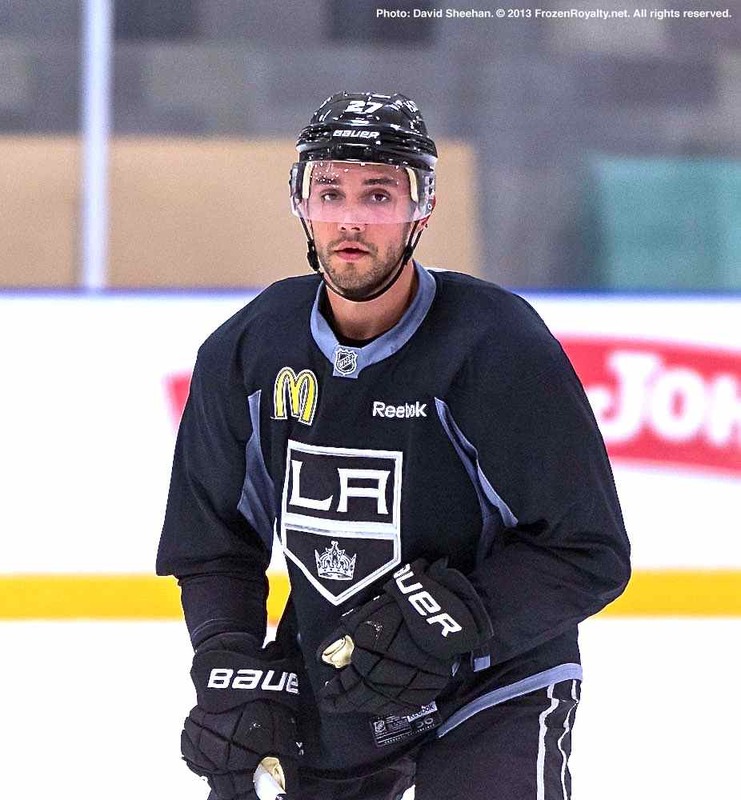 TRAINING CAMP COVERAGE: Story includes audio and video interviews from Day 2 of the Los Angeles Kings 2013 Training Camp. EL SEGUNDO, CA — Going into their 2013-14 training camp, it is no secret that the Los Angeles Kings are currently over the National Hockey League salary cap, and they have also exceeded the league-wide roster limit, primarily due to the fact that they have nine defensemen on their active roster. Simple math should tell you that something’s got to give. But NHL teams have until the start of the regular season to get under the salary cap and down to the roster limit, and for the time being, Kings President/General Manager Dean Lombardi is quite calm, despite the predicament. Head coach Darryl Sutter had similar thoughts. Since the end of the 2013 Western Conference Final, knowing that the Kings were between a rock and a hard place with eleven player contracts up for renewal, and with the salary cap dropping by $6 million, there has been a considerable amount of speculation (including by yours truly) that defenseman Alec Martinez was likely to wind up playing elsewhere this season. The reason? After being a solid contributor to the Kings’ success during their 2011-12 Stanley Cup Championship season, Martinez struggled mightily last year, scoring just one goal and adding four assists for five points, with a -2 plus/minus rating and ten penalty minutes in 27 regular season games. In the playoffs, he played in just seven games, recording two assists, with a -4 plus/minus rating and eight penalty minutes. Lombardi pointed to the loss of defenseman Matt Greene (along with Mitchell; Greene played in just five regular season games last season), as a big reason for Martinez’s problems. Martinez said that he spent some time over the summer trying to find some answers, but chose not to share them. To that end, Martinez came into camp in great physical shape. That hard work did not go unnoticed. 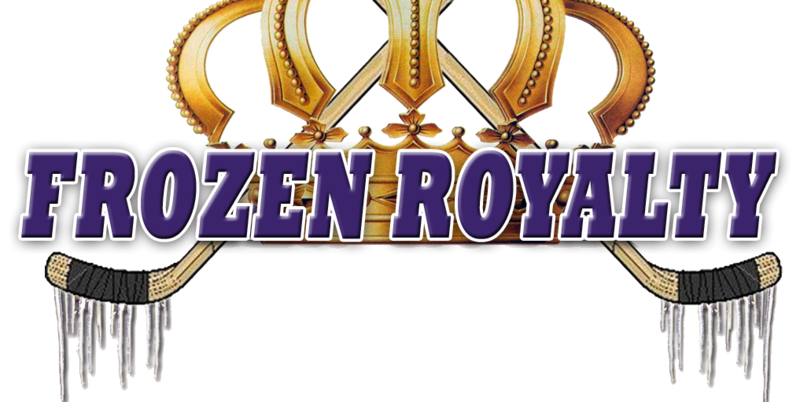 If Martinez is worried about his status with the Kings, he is not showing it. “If you think about that stuff too much, it can get the best of you, so you just focus on your own game, and try to play as well as you can,” he added. One reason for Martinez’ positive attitude is that he understands and accepts the business side of the game. Whether he is feeling added pressure or not, Martinez is focused only on what he can control: himself.